Navy SEAL Andy Carlson’s last mission into the Saudi Arabian desert begins with an unexpected sandstorm that brings down his insertion helicopter. Both pilots and his best friend Joe are killed, leaving Andy to complete the mission alone. Despite losing most of his provisions and equipment and finding that the camels and water left for him by his Saudi allies have been poisoned, Andy has no intention of aborting. Navigating by dead reckoning in the desert darkness, he reaches the palace he has been ordered to recon. 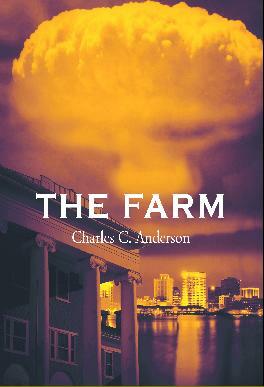 Once inside the compound, he discovers that the shipping container he has been sent to investigate contains two Cold War era Soviet nuclear warheads. The occupants of the palace flee when he shoots out the power transformer, except for a teenage Saudi girl, Sahar, kidnapped from her family by the prince who owns the palace. She informs Andy that these weapons are slated to be sold to Harrison, the very man who sent Andy on this mission and the Middle Eastern Chief of the CIA. According to Sahar, Harrison is a regular buyer of weapons from the prince, and a regular abuser of her. Because she is no longer a virgin, Sahar’s family has turned their back on her. Andy takes her with him when he leaves the compound. Before going back into the desert, he calls a trusted contact with the Saudi royal family, Ambassador Akbar, to inform him of the presence of the warheads. Both are mystified by Harrison’s intentions. Unsettled by Harrison’s betrayal and shaken for the first time by his ability to kill in the name of someone he can no longer trust, Andy questions his life as a SEAL. Back in the US, Andy retires from active duty and returns to his career as an emergency physician in Norfolk, Virginia, with Sahar safely enrolled at Old Dominion University. Andy tries to focus on his duties at work, his sobriety, and managing the family’s antebellum plantation in Farmville, Virginia, known as the Farm. Andy has never been able to cope with women unless intoxicated, but now he finds himself smitten by an attractive new ED nurse, Lindsey. He believes that she is unique because she arouses him without benefit of alcohol. Actually, she is unique because in addition to her nursing degree, she has a degree in nuclear physics and a CIA badge, and she’s been sent by Harrison to trap Andy into becoming an unwitting pawn in his latest plan. Lindsey and Andy plan a long weekend together at the Farm when their night shift is over. Along the way to their romantic getaway, Lindsey pulls Andy through deception after deception, beginning with the arrival of two Saudi princes at the hospital, and ending with her sitting in the living room at The Farm, lying to federal agents about seeing the same two Saudis collecting sensitive shipping information at the Hampton Bay-Bridge Tunnel. Though Andy wonders how someone with his background could coincidently stumble upon the same two members of the Saudi royal family, who appear to be planning a terrorist attack, he trusts Lindsey. Until he sees her try to drug him, and overhears her conversation with Harrison while he is supposed to be knocked out. The call confirms his fear that she is part of a complex scheme to use him to set up the Saudi royal family. The CIA’s goal is to create a legitimate excuse for confiscating Saudi oil by blaming the Saudi’s for a nuclear attack on Hampton Roads. Lindsey also tells Harrison that Andy is hiding Sahar, and promises to find her location. Andy knocks Lindsey out and ties her to his bed. When she comes to, he discovers that her brother was killed in Iraq and both her parents died in the World Trade Center on 9/11. Andy suggests to Lindsey that she is being used. She insists that what she is doing is justified. She explains that the nuclear warhead is in a container ship and that it will be exploded tomorrow before it reaches Hampton Roads. Then she insists that she is in love with him and offers herself to him. She agrees to work with him to halt the scheme. He cuts the ropes binding her to the bed and they make love. Afterwards, she attacks him again and stabs him in the chest. Andy flees to the Cow Palace, a high-tech renovated dairy barn where Andy has an apartment and stores medical supplies for his two brothers, who are missionaries in Uganda. Here he narrowly escapes death by inserting his own chest tube and infusing I.V. fluids. Suffering from severe blood loss and a partially collapsed lung, Andy lures Lindsey’s FBI cohorts to the Cow Palace, where he kills them with the only weapon available, a homemade hunting bow. Aware that reinforcements are likely on the way, Andy sprinkles a trail of his own blood from the chest tube through the woods, luring more enemies to their death. He manages to survive, using all his SEAL training, his medical knowledge, and leaving only Lindsey alive. He is rescued by Ambassador Akbar via private jet, after he informs the Saudis of the impending staged nuclear terrorist attack. Upon receiving a frantic call from King Fahd of Saudi Arabia, the U.S. president denies any knowledge of such a plot. After hanging up, he orders the sinking of the container ship by a U.S. submarine. There is no detonation of the warhead. Andy wakes up at George Washington University Medical Center, near the White House, and requests that the Saudi king notify the U.S. president that any further harm to him will result in a drastic cut in Saudi oil to the United States. When he is stable, the emboldened Dr. Carlson calls the White House and requests a meeting with the president. His face-to-face conversation with the president confirms his suspicion that the plot to take over Saudi oil fields extends to the highest level of the government. The president asks Andy to help him repair his relationship with the Saudis, blaming the CIA for the terrorist idea. Upon his release from the hospital, a heartsick Andy returns to the Farm, where he pours himself into a long and sloppy drinking binge. He is convinced that Harrison’s agents have killed Sahar because she has not answered his calls since he woke up in the hospital. He knows that the Saudi threat to withhold oil from the United States will not protect him for very long. Sahar shows up at the Farm to find Andy in a drunken stupor. She cleans his house and drags him into a cold shower. Sahar explains that Lindsey called and warned her to disappear and remain in hiding for at least a week. Andy uses his temporary leverage with the president to ask him to spare Lindsey. The president has no intention of sparing Lindsey or Andy, but tells Harrison to delay their deaths until Andy can be discredited in the eyes of the Saudis. Harrison welcomes Lindsey back to her job as a nuclear threats analyst at the CIA. Andy returns to work, this time at the hospital in Farmville, where he saves the life of a young black girl having a severe reaction to bee stings. Her father is Ben Carlson, a black man who shares a common ancestor with Andy and was Andy’s childhood best friend. As they reconnect, Andy introduces Ben to the vast network of limestone caves underneath the Farm. These caverns have been used for centuries by the Carlsons to hide weapons, historical artifacts, and family secrets. Andy intends to restore the tunnels, make the Farm an impregnable fortress once again. Eight months pass as Andy and Ben work above and below ground. Drones pass overhead regularly, and Sahar hides in the Saudi Arabian Embassy in Washington working for Ambassador Akbar. Andy is sent by the president to Saudi Arabia, and returns with a report of thirty-year-old nuclear warheads on American soil, smuggled in during the Cold War and now being marketed by an ex-KGB agent, Boris. The king has given Andy contact information for Boris, who will only meet with someone in the United States who is approved by the king. Harrison and the president are annoyed at having to deal with this alcoholic ex-SEAL again, but they have no choice. Harrison requests that Andy set up a meeting with the arms dealer and purchase the warheads. Andy agrees to do so if the negotiations take place on the Farm and the CIA supplies a nuclear disarmament specialist and a helicopter. Lindsey is the clear expert in the disarmament of old Soviet warheads, having traveled to Russia to supervise the dismantling of the old Soviet arsenal. She lobbies hard for the job, citing her pregnancy as a perfect disguise. She is 38 weeks along and desperate to tell Andy that he is going to be a father. When Andy discovers the identity of his new partner, he is less than pleased, especially since she is pregnant. He is angry that one woman could be smart enough to have Lindsey’s credentials and cruel enough to break his heart. Intelligent women always make him thirsty. These emotions keep him in denial regarding his paternity. Ultimately Andy decides he must trust Lindsey with some of the secrets of the Farm or she can’t help him or protect herself and her baby. He introduces her to the Grand Chamber of the Confederate Cave. Lindsey is stunned by the stacks of gold bars--the final resting place of the Confederate treasury. Andy explains that he plans to use the gold to entice Boris to sell him more warheads, even though he has no intention of actually giving him any Confederate gold. The Carlsons, like Thomas Jefferson, have always believed that the people would eventually have to change the course of the government. The Confederate cave holds the skulls of many human snakes, and Carlsons have been cutting their heads off for centuries. It is the family legacy, to do what needs to be done to protect the country from its government and other enemies, in war and peace. With the recent renovations, the Farm once again becomes a living, breathing, snake-killing machine. Andy will be patient, and wait for the biggest snakes to come to him. Boris arrives on schedule at four in the morning. The warhead is off-loaded, Andy transfers the CIA money, and Lindsey disarms the warhead in the garage while Andy shows Boris the gold and explains that it will be used as currency in future deals. Andy steals Boris’s bank account information and access codes in their wire transaction. Boris is ecstatic at the sight of the gold and immediately begins plotting to take it all. They agree on a price and the size of two more warheads, but do not set the date. Harrison and the president meet and confirm plans to kill Andy, Lindsey, and Boris at the same time, before the two new warheads can be disarmed. Andy talks personally with the president about the need to buy as many warheads as possible. The president reveals his hand by asking for the exact time of the transaction. He cannot afford to let Boris walk away from another deal. Andy explains to Lindsey that the Farm will be under attack from Boris and the CIA at the same time, but he gets to choose the date. He chooses the next Saturday. She is forced to tell him that Saturday is her due date. Working backwards from her due date, Andy determines that he is the father, but he is unwilling to say it out loud. The day of the battle begins with precision, like most disasters. Boris arrives with a truckload of mercenaries. Harrison waits nearby with a larger truckload of agents. Boris transports the two new warheads into the cave using Andy’s RTV, and then uses the RTV to transport the gold out of the cave. After Boris’ men leave the cave, Andy detonates a charge under the bench seat of the vehicle, initiating the battle. Lindsey empties out Boris’ bank account and the CIA account into a third Swiss account. One of Boris’ men has remained in the cave. Lindsey blows the tunnel to the gold room to isolate herself in the Grand Chamber. This mercenary is injured, but manages to throw a grenade at Lindsey. Andy leads some of Boris’ men into traps above ground as Harrison’s men face off with more of Boris’ mercenaries. Using the tunnels and all his crafty preparations, Andy has the ability to appear anywhere on the battlefield and shoot silently, creating panic among those above ground. He returns to the Grand Chamber, where he finds Lindsey injured. Andy pauses his involvement in the battle to perform his first emergency C-section, delivering twins. He does his best to close her abdomen, stabilize her fractures, and wrap the babies warmly before returning to the battle overhead. Andy methodically applies silent weapons, deception, and homemade traps to overcome the numbers of his enemies and their hardware. The heads of Boris and Harrison roll. Andy is forced to disengage again in order to get Lindsey to the hospital for blood. When helicopter reinforcements arrive unexpectedly and he is trapped with Lindsey and the babies on his covered bridge, Ben joins the battle, taking out the last of Boris’s force. No sooner are mom and the twins safe inside the first ambulance at Andy's gate when Ben suffers a gunshot wound to the chest while covering Andy’s withdrawal. Andy begins his resuscitation on the spot, continuing in the back of a second ambulance, culminating in opening Ben’s chest upon arrival at the hospital. Ben survives, Lindsey’s wounds are properly treated, and the babies thrive. Andy returns to the Farm and makes a call to the president, daring him to send more people to die. At his first visit to the White House, after he had been wounded, Andy had hidden a digital recorder. He now sends this digital conversation to the House Judiciary Committee and the Washington Post. Andy’s family and Ben’s family hide out in the caverns while the president struggles to answer the accusations against him. Having turned his back on God after the death of his mother when he was sixteen, Andy finally understands that God has always had a plan for him. As the story closes Lindsey is hobbling past two shielded nuclear weapons in the cave, holding an infant in each arm, explaining how Uncle Boris and the CIA have donated millions of dollars in honor of their birth. The Confederate gold remains in place today.